Greetings! Were back with another Nitrado Partner! This time in the spotlight is: Jade Plays Games. He is here to give you info on the latest early access games and new games with tutorials! Check out YouTube for some let's play's and updates on your favorite games, Including ark, conan, dayz, red dead, fallout 76, 7 days to die, and a whole lot more! You can find his streaming schedule below along with a nice Q&A. 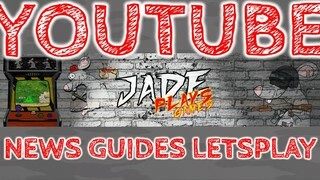 Learn more about Jade Plays Games with this helpful Q&A! 1. Everyone on the internet has a story of where their name came from, what's the story behind Jade Plays Games? My son and I got into Minecraft in a big way and I started using Youtube to watch for guides and news. I kept seeing really boring people and my son thought I was great at the game so I thought I can do a better job. 2. Many gamers started from childhood, what is the earliest gaming memory you have? Playing Batman on Commodore 64 around a friends house. I was always watching others play as game systems were expensive, but yeah that was maybe the earliest memory I have of gaming. 3. Nitrado is partnered with hundreds of Content Creators, Modders and Developers, how are you finding your partnership with Nitrado? Being able to customise and change my servers is super quick and easy and having good customer support. 4. Collaboration is a cornerstone of growing some channels if you could collaborate with anybody, who would it be and why? There's no one I really think amazing that I would play a game to collaborate with. 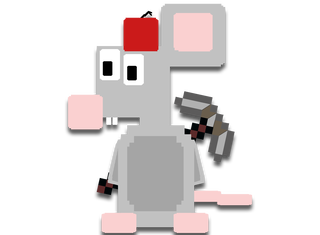 I would rather have the time to play with my ratbag supporters. But if I could do a podcast with Joe Rogan or Jim Sterling, maybe Yogscast that would be cool. 5. Everyone has a favorite game or a game they'll always come back to, what's that game for you? Currently working on a top 30 survival games series and every time I think about the top 3 there is one game that keeps coming back! Minecraft! The first real recognised popular survival game. I want to make time to get another server up and running and go mad with mods. 6. If you found a magic orb, that granted 3 wishes, what would they be? 2. My kids to be successful and content. 3. Ability to jump for miles kinda like the Hulk. 7. New content creators are starting all the time, what's some advice you would give them that you wish you'd known when you started? YouTube is so over saturated, so finding smaller games or coming at a game from a different angle, also regular content. No excuses that you haven't got time instead of one evening playing games, devote that to your channel. 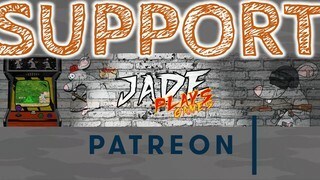 Support Jade Plays Games on Patreon! 8. Inspiration is a key thing in any venture, what inspires you with content creation? I love getting a reaction. Good, bad and amazed so when my comments blow up or I get a lot of views it motivates me more. I have hundreds of ideas each day, my only trouble is having the time to do it all. 9. In today's competitive environment for content creators, switching to new games is needed to stay ahead of the curve, that means you often don't get to finish games, what was the last one you felt you'd completed? 10. During a Zombie apocalypse which other content creator would you want with you? That's a tough one. I want to say Dr Disrespect but I reckon Joe Rogan would be better fighting off the zombos.